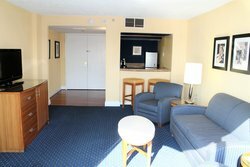 Elevate your trip to Hampton with a stay in one of our spacious waterfront suites. 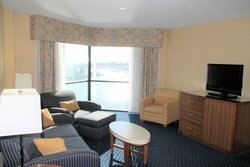 Enjoy a comfortable night’s rest in this spacious king suite and awaken to a beautiful view of the marina’s waters. 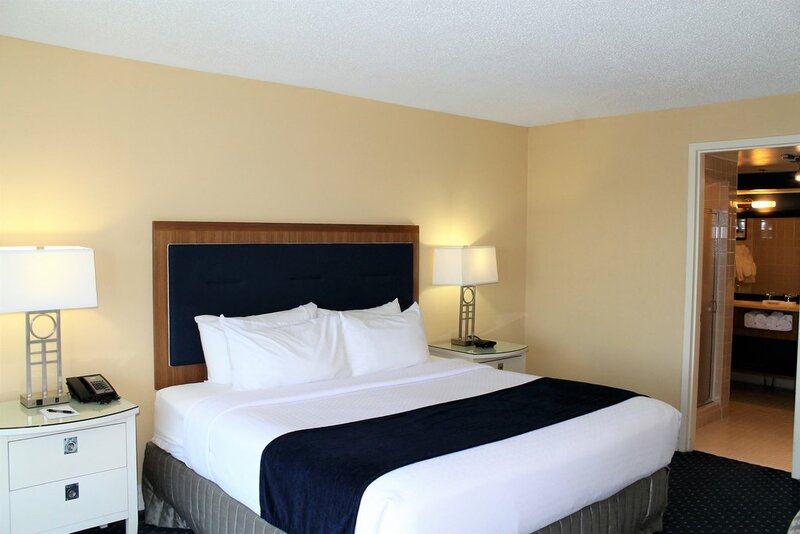 Sleep soundly in a plush king bed with soft bedding and lots of pillows. 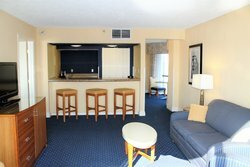 Our spacious suite features a separate living area and a fully-furnished master bedroom and bathroom. 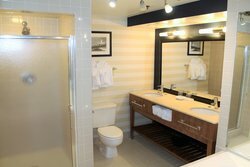 The kitchenette has a mini-refrigerator and a coffee maker equipped with everything you need for a great start to your morning. 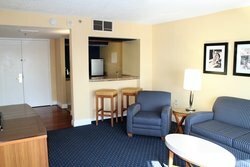 Connect with ease to complimentary Wi-Fi and kick back with your favorite show on the 37” flat-screen TV with HBO. 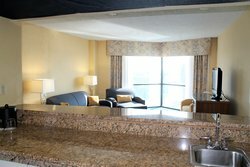 Perfect for romantic getaways and business trips, our suites offer all the modern comforts of home.